This ninety page book was originally given as a lecture in 1954 as a defense of historic Methodism. Historic information is taken largely from the letters, literature and music scores of the Wesleys. From the author’s point of view, John and Charles Wesley started a back-to-the-Bible movement from within the Church of England which grew far larger than even they envisioned. The emphasis was upon true Christian holiness and a “catholic” spirit for evangelism. 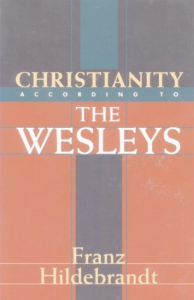 From an “outsider’s” point of view it is a reminder that Wesley was, after all, an ordained Anglican and that his views of a sacramental soteriology are far closer to the Church of England than to the dissenters and nonconformists whom the Church persecuted. Interesting and in some ways even inspiring.